If you are a registered member of the MplsMQG and were at the meeting on Thursday night, you were treated to a fantastic trunk show from Amanda Jean Nyberg AND a sweet bundle of free fabric. I just wanted to give everyone a little more detail about the challenge and the fabric. 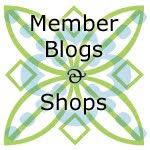 If you are a registered member and didn't make it to the meeting, you can either contact me by email (pixiespit@yahoo.com) to arrange a time to pick it up or grab it at the next meeting. 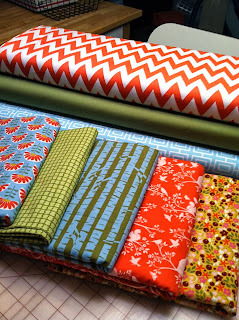 We had a bunch of new members join at the meeting on Thursday and they were drooling over this fabric. Any bundles that are unclaimed by our November meeting will be given to new members. The challenge theme is "Challenge Yourself". We aren't big fans of rules, so you can interpret this anyway that you want. Pick a project outside your comfort zone or on your bucket list... The idea is to showcase the challenge fabric, but you can add any fabrics that you want. The challenge reveal will be March 13 at our monthly meeting. The fabric is a very generous gift from Monaluna (aka Jennifer Moore). 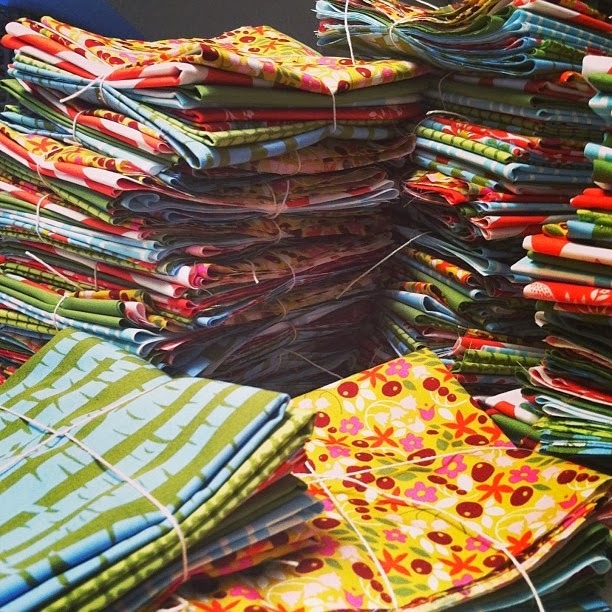 All of the fabric is 100% GOTS certified organic. Most of the prints in our bundle (the ones in the front row of the picture above) are from her Meadow collection. Meadow is so new that it is not even in stores yet. We are the among the lucky few to get our hands on this stuff before the rest of the world! 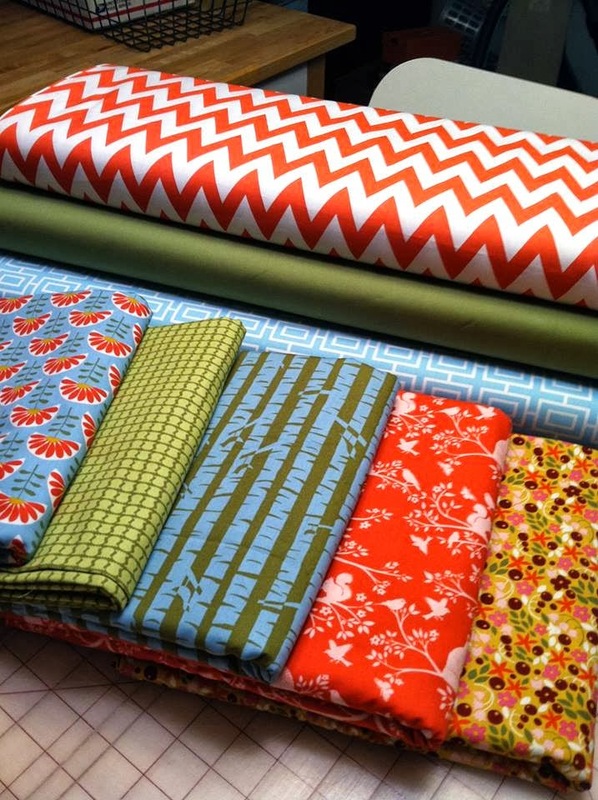 Since you won't be able to get additional yardage of Meadow for your projects, we decided to include a few "basics" from previous Monaluna collections that you can get additional yardage of if you need it. The three prints in the back of the photo above are widely available. I carry these three prints in my Etsy Fabric shop Fresh Stash and am offering free shipping to members who purchase any organic fabrics through March. Just use the coupon code MPLSMQG at checkout. As a way to say thanks to Jennifer for giving us this great fabric, let's hashtag the heck out of it. To keep things consistent, let's go with #monalunameadow, #challengeyourself and the ever popular #mplsmqg.